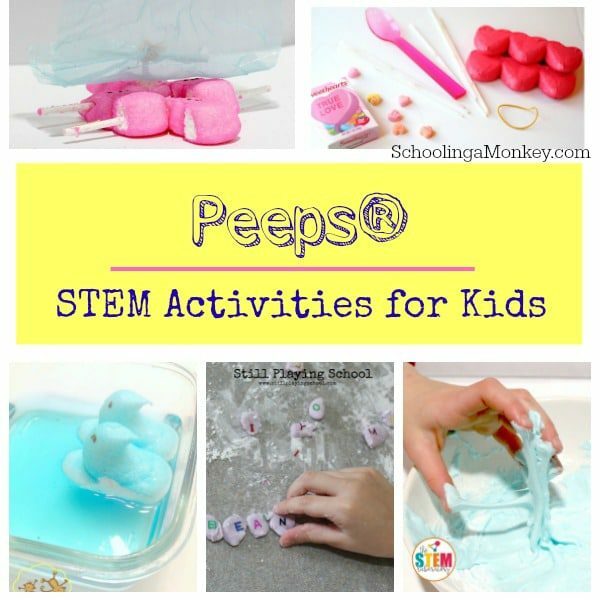 STEM activities for kids involve science, technology, engineering, art, and math. 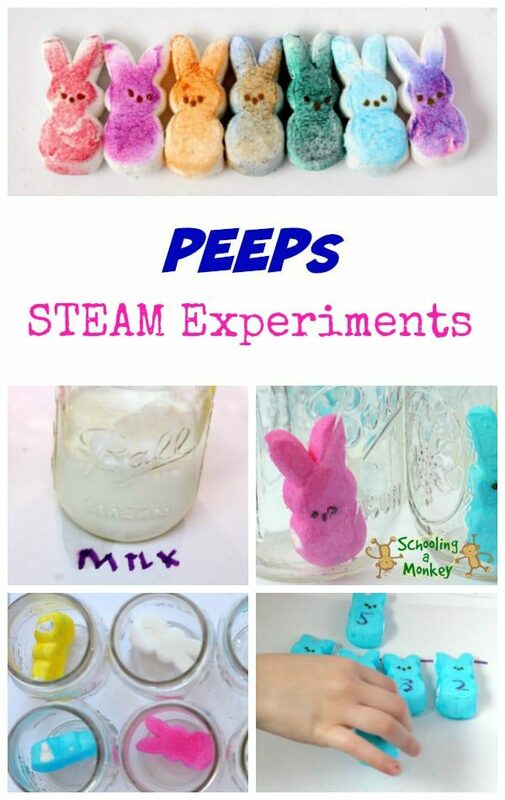 STEAM is the same as STEM activities, just with art added in. 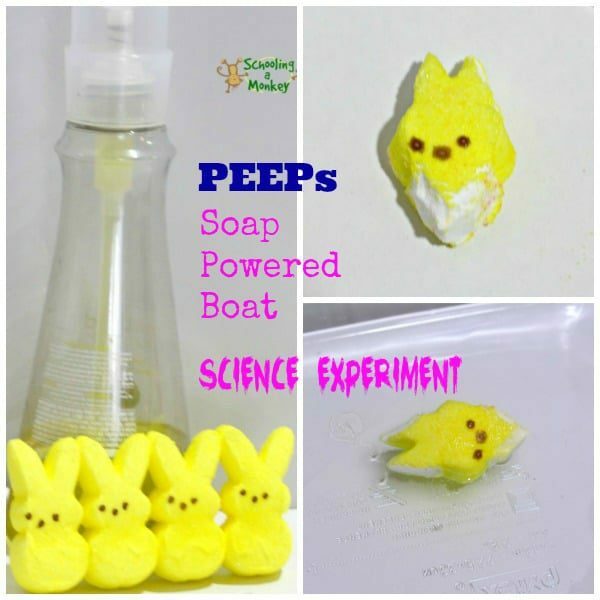 We’ve been having so much fun with our PEEPs science experiments. we couldn’t stop trying new things! 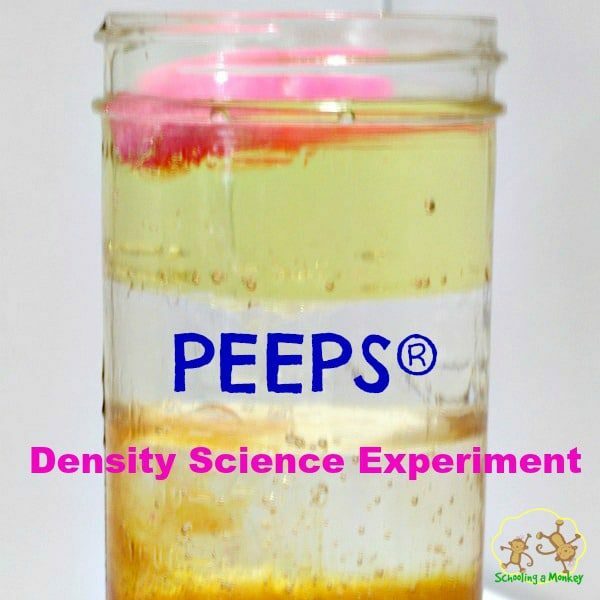 For this day of PEEPs STEM activities, we tested how quickly PEEPS dissolve in various liquids for science, we used PEEPs to help learn division, and we used PEEPs to create fun color mixing art! 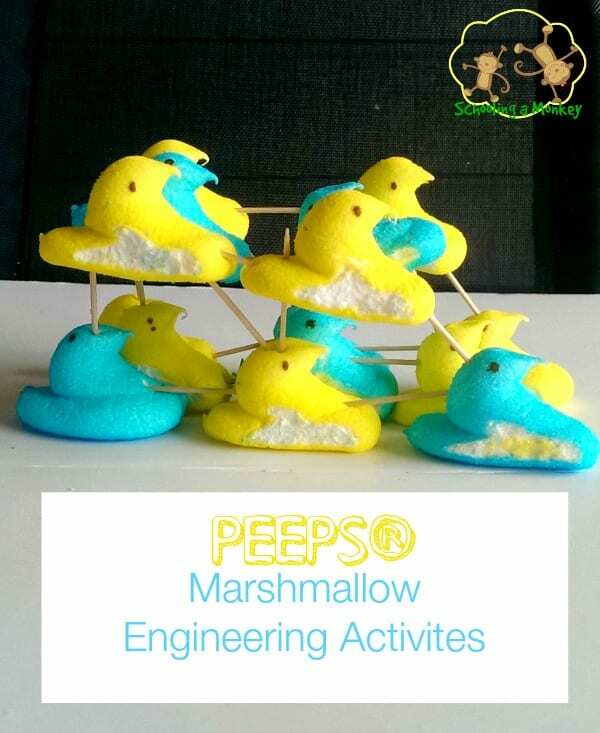 Easter STEM activities are so much fun! 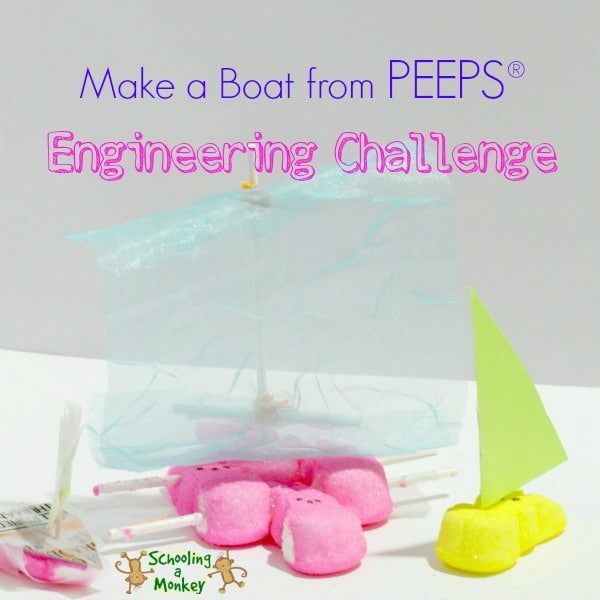 Try these three PEEPs STEAM activities for a day of PEEPs educational fun! 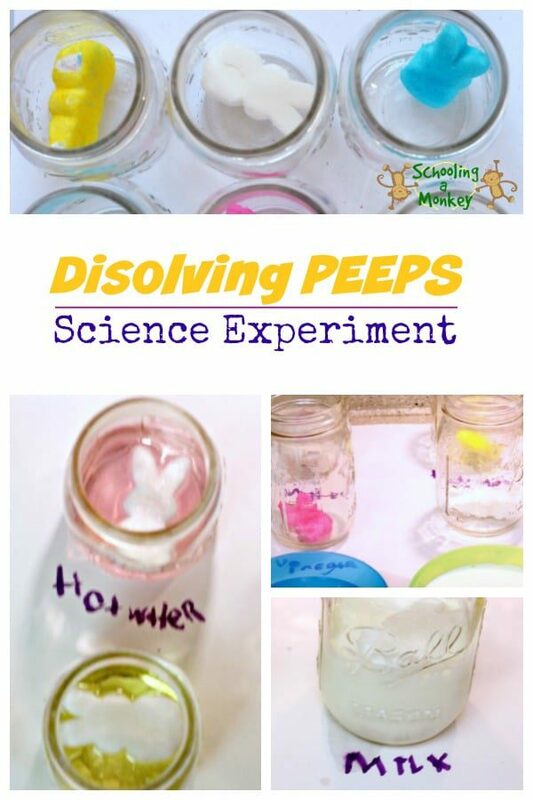 For our first challenge, we wanted to find out if different liquids could affect the rate at which PEEPs dissolve. 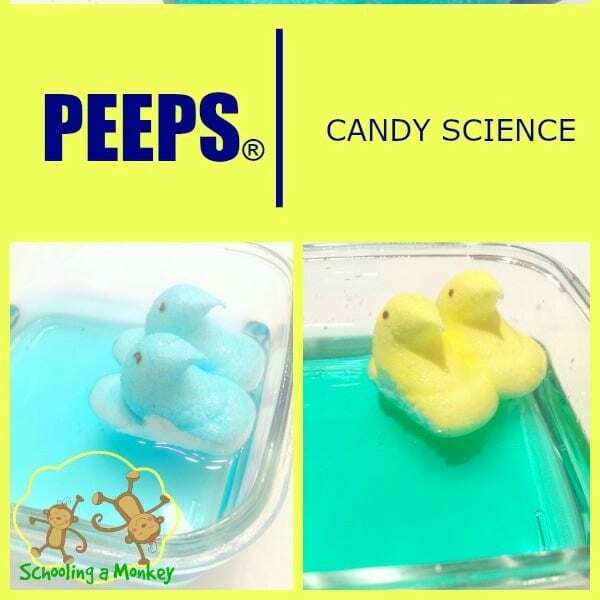 For this experiment, Monkey wanted to know which liquid would dissolve a PEEP the fastest and slowest. She predicted that hot water would dissolve it the fastest and cold the slowest. We poured in exactly one cup of each material into the cup to keep things scientific. We evaluated our PEEPs at 5, 10, and 30 minutes and then the following morning. The first day, the hot water seemed like it was dissolving the PEEP the fastest. 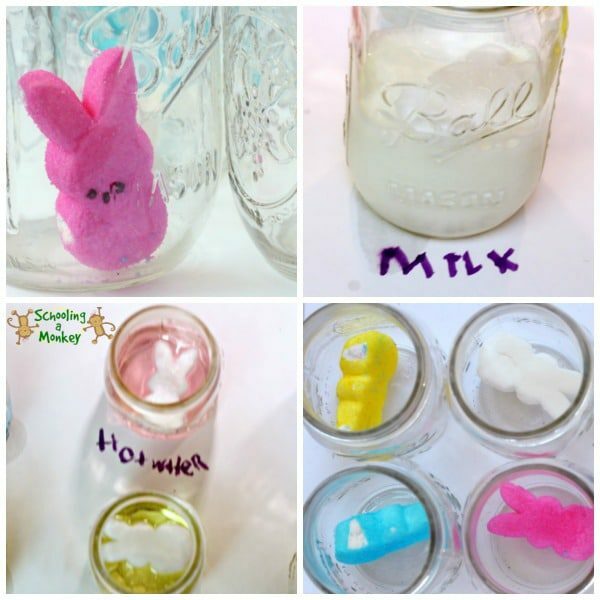 The milk also removed the sugar from the PEEP quickly. But by the following morning, the vinegar had completely broken apart the PEEP. The PEEP that was in the oil was nearly perfect the following morning with hardly any sugar removed at all. 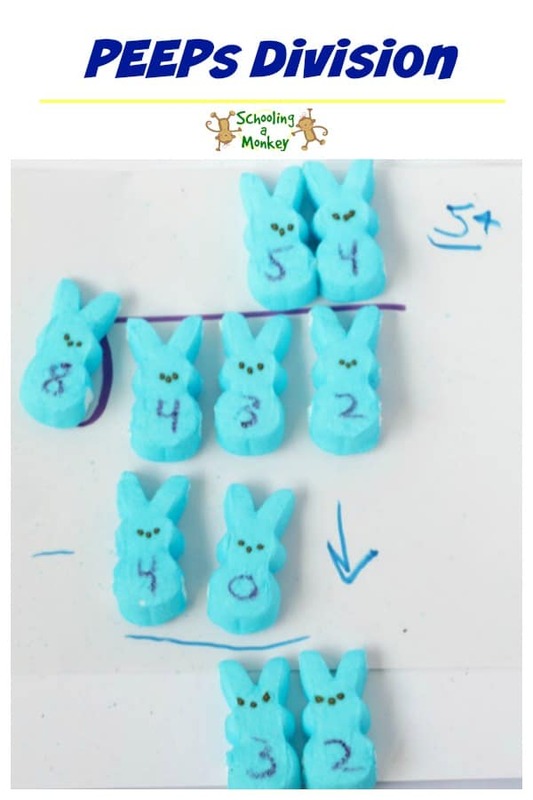 Monkey is working hard on division, so we used PEEPs to make division more fun! I wrote a bunch of numbers on our PEEPs with a food-safe marker. I created some division problems that could divide evenly and Monkey solved the problems using PEEPs. 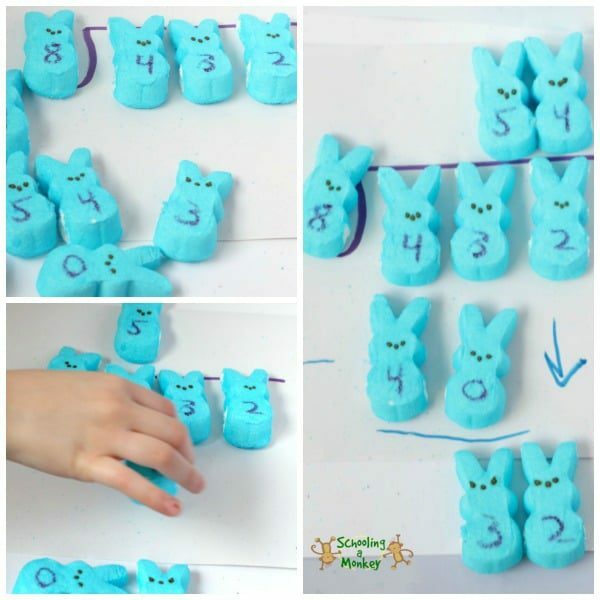 She didn’t exactly think that doing long division was fun, but working with PEEPs is certainly a lot more fun than simply writing the numbers! For this project, we wanted to see if we could create new colors by mixing colors we had from stamp pads on white PEEPs. 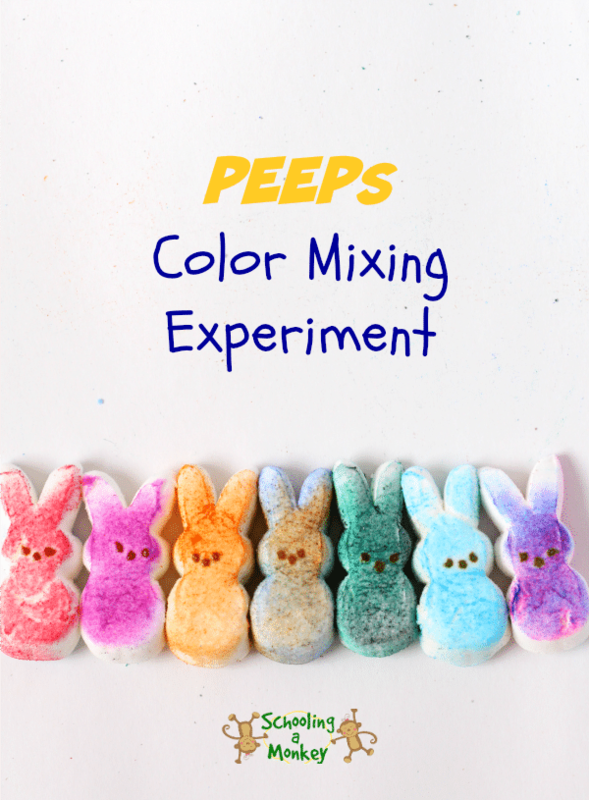 Our original thought was that we would use the PEEPs as stamps to mix the colors. However, our PEEPs kept soaking up the stamp pad ink, so we decided to do our color mixing right on the PEEPs themselves. 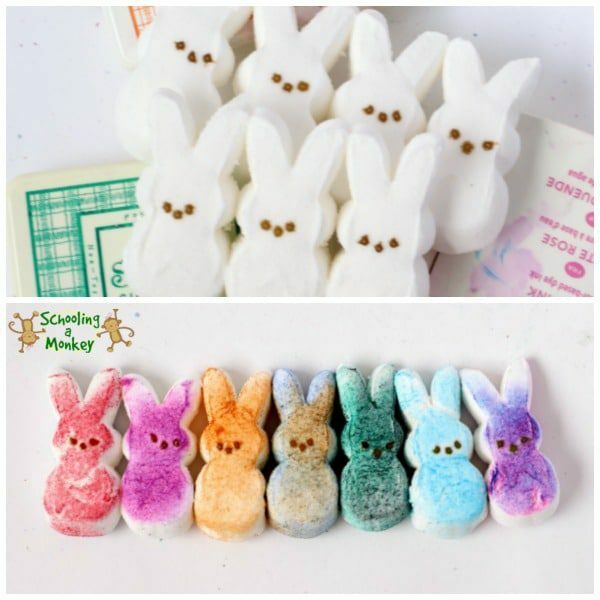 We rubbed the PEEPs onto the stamp pad to create every possible color combination we could. Since Monkey is so fond of rainbows, she wanted to create a PEEPs rainbow when we were finished.